Swords come in all shapes and sizes, their makeup speaking of their era and location. For a sturdy sword with a classic medieval design, look no further than the Heinrich LARP Longsword. This traditional LARP weapon is made from a specially designed latex-free, injection-molded foam with a strong fiberglass core. This core grants it extreme durability and a degree of flexibility without hampering its safety for use in LARPing, theater, staged events, and more. 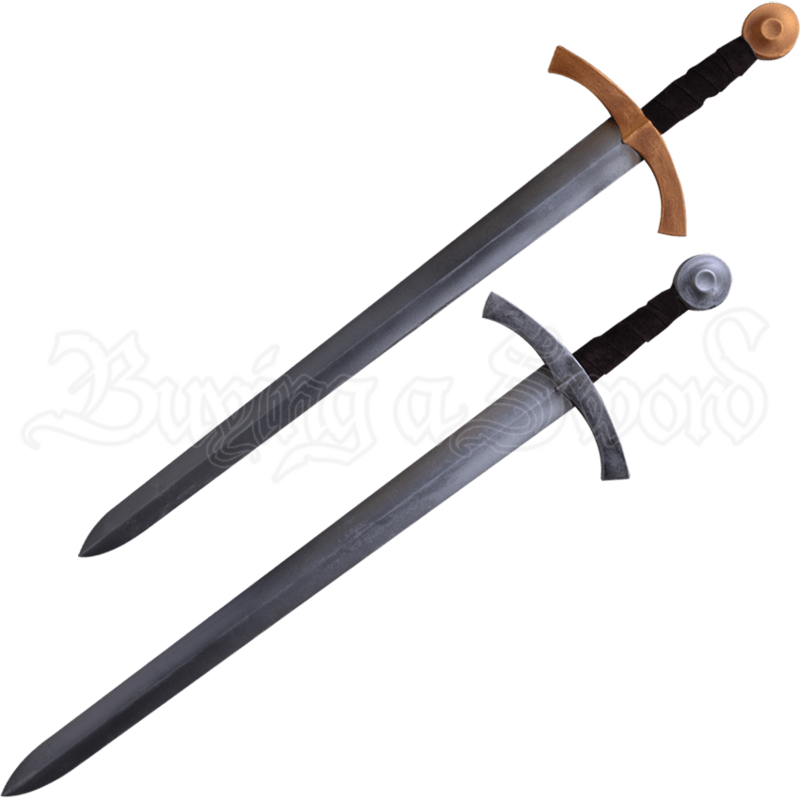 The hilt comes in two colors, steel and gold, and it features a disk pommel and slightly curved quillons, both classic components of a knights sword. The handle is also wrapped in leather, making gripping easy and comfortable. 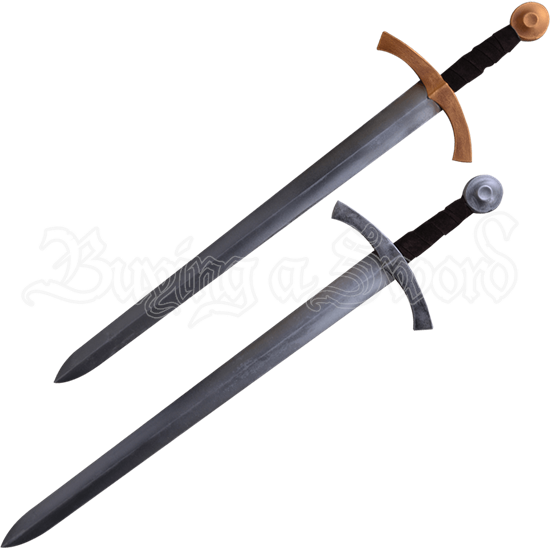 The Heinrich LARP Longsword is the perfect weapon for any noble knight looking to prove themselves on the battlefield. Very nice sword. It's lightweight and the paint job is great.